As the US presidential campaign heads into the final muddy lap, GOP challenger Mitt Romney is busy painting Barack Obama as a weak and gutless leader who is letting Moscow push Washington around on the global stage. ’Tis the season for campaign hyperbole. Once again, Russia has become a wildcard in the US presidential race, and could even become the wedge issue that tips the scales in Romney’s favor. According to the weird world view of Mitt Romney, Russia (which for much of the Republican lunatic fringe is just a codeword for Vladimir Putin) outmaneuvered the US on its plans for European missile defense by forcing Obama to sign an arms control agreement with Moscow. For Republicans, still suffering the acute side-effects of mad Neocon disease, a nuclear missile is a terrible thing to waste. The Grand Old Party of gun owners, bible thumpers and billionaires thinks that signing a treaty with America’s former Cold War enemy points to some kind of weakness, which is unacceptable for a superpower with a bloated ego and a military on steroids (After all, it was George W. Bush who informed Putin shortly after 9/11 that Washington was pulling out of the 1972 Anti-Ballistic Missile Treaty). The Republicans understand that Russia, which has long served as raw meat for the US political grinder, represents a sizeable chink in Obama’s otherwise formidable suit of armor. Thus, Romney has been railing against Russia at the same time as Obama is attempting, at least ostensibly, to make peace with Moscow. In March, Romney criticized the Democratic leader for being soft on Russia, which he labeled as America's "greatest geopolitical foe." Yes, despite a highly-publicized bilateral reset between Moscow and Washington, Romney wants Americans to believe that Russia is more of a threat to US interests than the likes of North Korea, Iran and China. 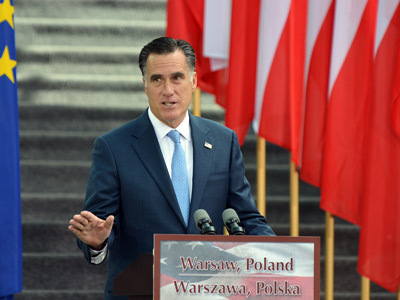 In case anybody thought Romney’s remark was simply an unfortunate gaffe, during a visit to Poland in July he mentioned Russia in the same breath as Hugo Chavez, radical jihad and authoritarian repression. "In Latin America, Hugo Chávez leads a movement characterized by authoritarianism and repression. Nations in Africa are fighting to resist the threat of violent radical jihadism. And in Russia, once-promising advances toward a free and open society have faltered." Although Romney's rhetoric can be chalked up as election season craziness, it nevertheless is acting as a drag on Russia-US relations. 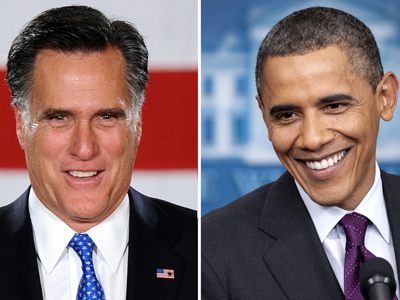 Last month, Vladimir Putin’s press secretary, Dmitry Peskov, blasted Romney’s anti-Russian statements, saying relations between the two countries must not become hostage to individual ambitions to win an election. Meanwhile, It should be acknowledged that Barack Obama himself is at least partially responsible for dragging Russia into this election-season fiasco. 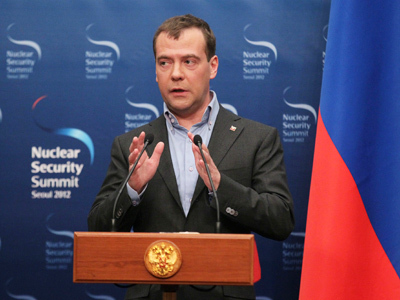 In March, the US leader was caught on an open mic telling then-President Dmitry Medvedev that he will have more “flexibility” to deal with Moscow after the elections. Not surprisingly, the Romney campaign is milking that comment for everything it’s worth. In fact, Romney mentioned it during his acceptance speech at the Republican National Convention on August 30. There is yet another reason, however, for Romney slamming Obama on Russia, and that is the Democratic leader’s alleged socialist tendencies. Following the Great Recession of 2008 (which Obama inherited from Bush, by the way), Obama agreed to bail out the burned bankers and CEOs to the tune of hundreds of billions of dollars. At the same time, the Democrats gave middle-class Americans “cash for clunkers”, as well as Obamacare, which only seems to provide care to the very healthcare industry it was expected to tame. These extremely mild efforts to keep the American middle class from falling between the cracks of capitalism have been slammed among the far-right as an effort on the part of Obama to turn America into a Socialist nation. Again, it doesn’t matter if the charges are ludicrous. Every four years in America reality takes a backseat in the campaign bus as partisan passions grip the entire nation. Even though in many ways Russia is more capitalist than America, most Americans will never travel to Russia to appreciate those changes firsthand. So the Republican message that Obama is cozying up to the “Communist Russians” sells like an overpriced Mercedes in Moscow – that is, very well. The real irony, however, of Romney’s promise to “have less flexibility on Russia” is that Obama himself has been less than forthcoming with Moscow. Shortly after winning the presidency in 2008, Obama announced he was “shelving” the European missile defense plans cooked up by the previous Bush administration. Whatever optimism this decision may have produced in Russia was short-lived, because the White House merely “shelved” the Bush shield for one that is every bit as threatening to Russia’s national security as far as Moscow is concerned. Meanwhile, Moscow warned that the construction of a missile defense shield in Eastern Europe without Russia’s cooperation would be viewed as a threat and responded to accordingly. This warning triggered numerous rounds of discussions between Western and Russian diplomats that eventually led to a dead end. Washington and NATO seem willing to proceed with the system despite Moscow’s warning that it could lead to “another arms race” in the region. This intransigence on the part of the Obama administration, which rejected Russia’s participation in the project, has added a hefty footnote to the so-called reset. Now, given this stubbornness on the part of the Democrats, it is difficult to imagine exactly what Romney means when he says he will be “less flexible” with Russia if elected. Although Moscow at this point would much rather see Barack Obama in the White House for another four years, this does not necessarily mean it is satisfied either with him or the so-called reset. 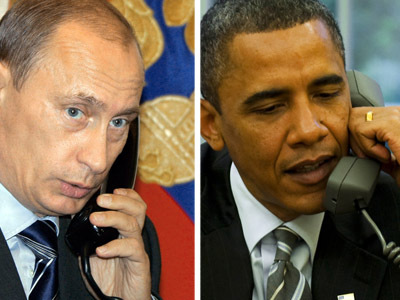 When it comes to a choice between Romney and Obama, Russia is simply prepared to go along with the devil they know, as opposed to the devil they do not. 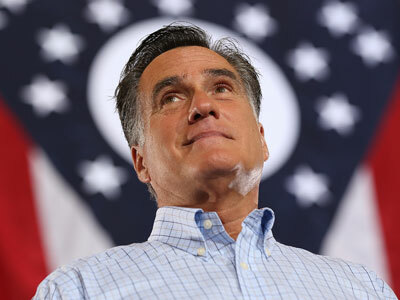 And there is a lot that Russia, as the well as the American people, do not know about Mitt Romney. Evgeny Sukhoi contributed to this article.